I read THIS IS NOT A TEST this week and wow…really wow! Yay for your upcoming revisions! I need to see that book in print, after learning more about your characters and reading that kissing scene for that´s YAmore, I´m so excited to read the entire story! 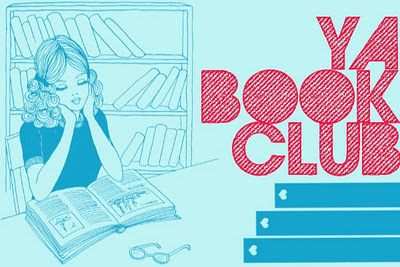 Looking forward to your YA Book Club post… I thought THIS IS NOT A TEST was fantastic, and I hope all my fellow book-clubbers did too! Aw, Katy thank you so much for your kind words! I am so thankful for YOU and all of your incredible encouragement. Plus, I get the most awesome benefit of getting to read and learn from your incredible writing. And, yay!!! I am so, so excited to hear you got your revision notes back from agent Vickie – yay, yay, yay! Can’t wait for this story to get one step closer to being out in the world for everyone to enjoy. I also melted at the picture of you and your sweet girl through the window. Oh my goodness, this just captures that feeling of wanting to pull them into our arms and swoop them back home – BUT this is all part of it. I know. And that picture of her happy, proud face holding the flowers is the perfect proof 🙂 So happy for all of the great news and changes for you this week. Big hugs, Katy! So, first—your comments made me cry. (which sadly isn’t much of a gauge—I cry at Olympic previews) But your words were beautiful and wonderful and kind and uplifting and *sigh* It is SUCH a pleasure to exchange work with you. Seriously. And I am beyond excited that you have revision notes from Agent Vickie! I LOVE the revising stage too! And I cannot wait until you can share Max and Jill with the rest of the world! Also, that picture? Oh, that is so precious and sad and YOU are so strong! The first time mine experienced even the slightest bit of separation anxiety, I boo-hooed the whole way to school. Oh, and yes, I was incredibly useful and effective that day. Anyway—I am SO glad she had such a big smile on her face at the end of the day. And—haha—you enjoy that stay-at-home-person-ness because Alison is going to bombard you with neurotic notes and more CM in the next couple weeks. I’ll be at writeoncon next week. What I love about it (aside from critiquing opportunities! )—so many different authors, agents, editors and chances to catch up if I have to miss something. As for my weekend, I will be SEETHING WITH JEALOUSY while you are at a professional soccer game. Who are you going to see?! But seriously, I’ll be reading, revising, and hanging out with my three favorite people since—ya know—Alison has to go back to work soon. Blah. Have a great weekend! And I hope the adorable one continues to smile after Kindergarten! And no crying about blog comments! I consider myself so lucky to be able to learn from your feedback and read your amazing writing. I seriously get excited butterflies every time a bit of CM hits my inbox! Feel free to take advantage of my stay-at-home-person status anytime. I love getting your emails! Good luck with WriteOnCon… From what I’ve heard, the event is going to have an amazing turnout! Hooray for agent notes! I’m a little jealous–I’m going to start drafting soon, and I much prefer revision. Have a fun weekend! Ugh… Me too! I can’t wait to dive into my notes and start brainstorming. Happy drafting, Rebecca! And I have THIS IS NOT A TEST on my shelf right now, waiting to be read for the YA Book Club. So excited to dig into it! Thanks, Crystal! I hope you enjoy THIS IS NOT A TEST as much as I did. Courtney Summers’s writing blows me away! I’ve got laundry, laundry, and more laundry to do this weekend – boo – that’s what I get for putting it off to revise, though! Hmmm I’m actually participating in WoC!!! 🙂 I just am going for feedback though. My MS is still in R+R stage… But here are the first 250 words… http://writeoncon.com/forum/showthread.php?8154-YA-Contemporary-VIOLENT-DELIGHTS (and in my signature there is my first 5 pages too). Hope you have time to check them out. I wonder where that tantrum thrower is today? Yikes! I will definitely check out your WriteOnCon enteries… I’m intrigued just by the title, Rachel! Wahoo for agent notes! Especially since they sound like ones you’re down with. And how can you not love fablous CPs? I’m doing WoC this year. First I’ve ever heard about it. Already getting great feedback. And finishing the last of my edits, hopefully before next week. So super close. Isn’t WriteOnCon fantastic?! I did it the first year and learned so much. Such an amazing idea! Good luck with your edits… Let us all know when you’ve finished! Stay at home person. I laughed out loud when I read that. I think you get to call yourself a stay at home mom until she’s 18, though. Can’t believe how early school starts out there. We don’t go back for three weeks. Enjoy your new free time. Yeah, we have A LOT of breaks through the year here, so they start early and finish late. I’ve already started to enjoy my freetime… Got a long overdue haircut today! The through-the-window shot! You’re killing me! Most of us don’t have actual photo documentation of that moment– it is truly priceless. It brings tears to my eyes. I so know those feelings. What a brave little one (and it looks like a brave mom, too). I love that photo too! I usually only want photos of my girlie smiling, but that one just perfectly captures all the feelings of Kindergarten. Hope your little guy has a fantastic day when he starts! I’m really interested to know what Vickie thought…you should shoot me an email if you’re willing to tell me 🙂 I’m drowning in manuscripts to critique. I may send my MS your way if you have some time . . .
Write On Con! I’m finally doing it for the first time this year. I’ve already gotten some great advice on my query. I’ve met my CPs online too, and I can’t imagine my writing life without them… Such smart, talented girls! And good luck with WriteOnCon, Steph… I hope you get tons of valuable feedback! Good luck with your upcoming revisions! I’m super-excited about WriteOnCon, and I posted my query and first 5 pages for the first time this year. Eep! I’m getting good feedback so far so I’m very grateful.